We have purchased our own office. Come see us in our new office at 1430 N. Main St. Whether you are looking to buy or sell a home, town home, condo, land, farm, or commercial property in or around the Twin Lakes area, including Lake Shafer and Lake Freeman in Monticello or the surrounding area, then you have come to the right site. Here you will find a wide array of information about local real estate for sale. TWIN LAKES REAL ESTATE is located in Monticello Indiana and our web site www.twinlakesre.com carryies all listings in the area. WE ALSO LIST PROPERTIES AT A COMPETITIVE FULL SERVICE LISTING COMMISSION. Our office is located at 1430 N. Main St. and we look forward to seeing you there. We can be reached by cell phone seven days a week up to 10 PM to answer any questions you may have or schedule a showing of any listing on the lakes or in the general area. We work very hard for our clients and give out of the ordinary service, please call us for any of your needs. Our claim is to be your agents that will always be available or return your call. (Call my CELL Seven days a week 574-808-9903.) Thank you so much and we look forward to being your Agent. By working with us you have the advantage of being able to access all local listings available through the Multiple Listing Service, MLS. 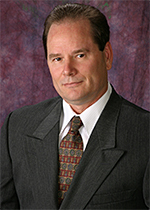 Using TWIN LAKES REAL ESTATE also gives you the comfort of knowing that you are working with the most qualified professionals who are dedicated to you as the buyer or seller and will always be looking out for your best interests and striving to make the process of buying or selling real estate as comfortable and pleasant as possible. 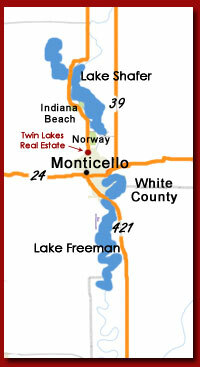 or homes for sale in Monticello then Twin Lakes Real Estate can assist you.